Definition at line 169 of file desktop.h. Definition at line 171 of file desktop.h. Definition at line 520 of file desktop.cpp. Definition at line 540 of file desktop.cpp. Definition at line 602 of file desktop.cpp. Definition at line 612 of file desktop.cpp. Definition at line 654 of file desktop.cpp. Definition at line 547 of file desktop.cpp. Definition at line 607 of file desktop.cpp. Definition at line 757 of file desktop.cpp. Definition at line 894 of file desktop.cpp. Definition at line 576 of file desktop.cpp. Definition at line 191 of file desktop.h. 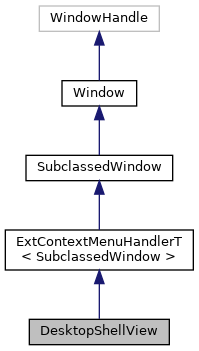 Referenced by DesktopShellView(), PositionIcons(), and WndProc(). Definition at line 192 of file desktop.h. Definition at line 179 of file desktop.h.